I’ve had this sweater for a few years and love it, but this winter I thought it needed something more…. This is what I came up with and it look less than 20 minutes to put together. 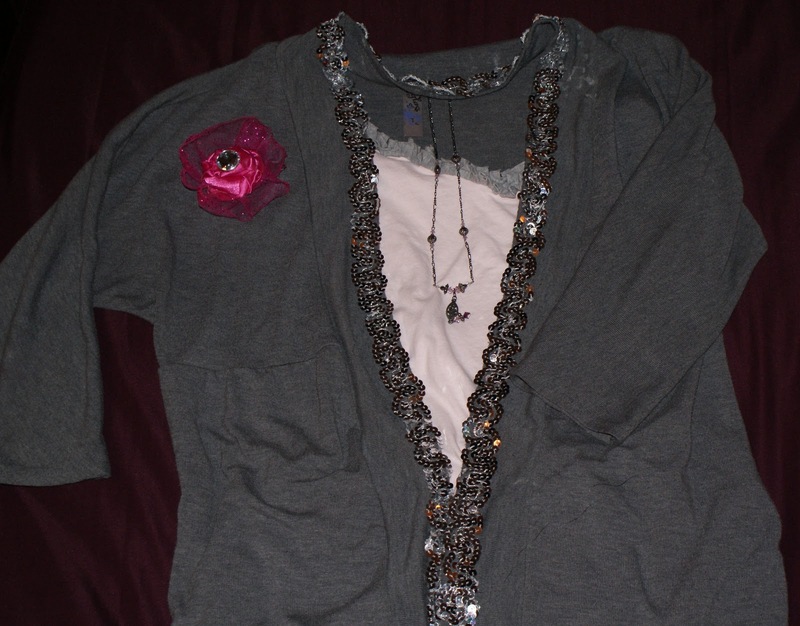 Old sweater and some sequin trim. 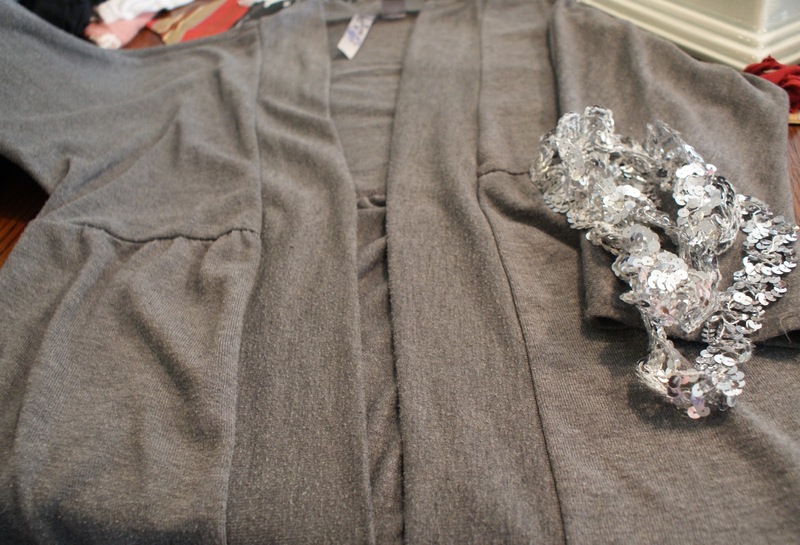 I sewed my trim around the neck and down the sides with a zigzag stitch, but you could use a fabric glue also to adhere the trim down. 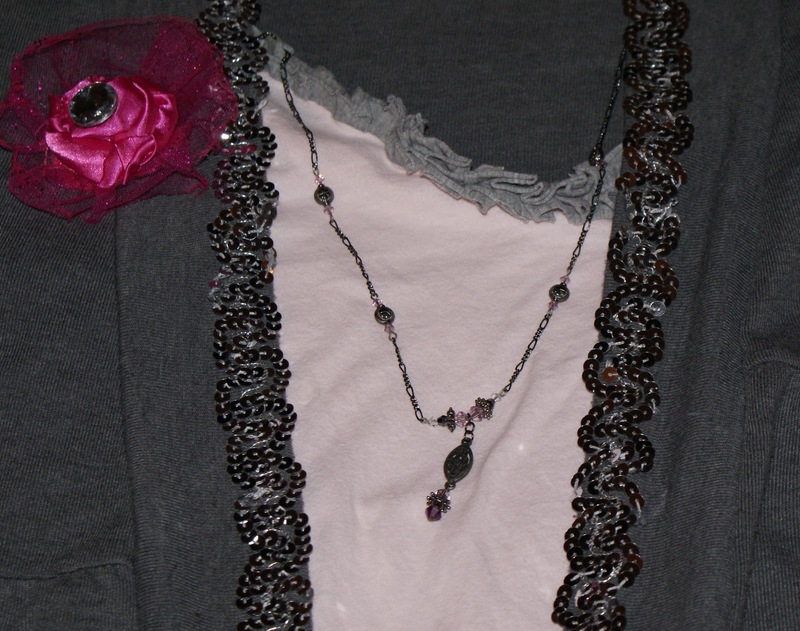 New sweater paired up with a flower pin and necklace. Made a new outfit and ready to head out the door. Not bad for having everything on hand. Trim is not that pricey. You could find some even at Wally World for cheep. Have fun.